At first we were confused about why Google would launch a new feature in its search results that covers up the very ads that make Google money. Google’s new Instant Previews allow users (if you first click on a magnifying glass symbol) to see previews of the web pages you may click through to. It’s a very nice feature, potentially modeled after Twitter’s recent redesign, and is an obvious attempt to keep Google your main portal on the web. Google faces significant threats from mobile apps and social media referrals, and this summer Nielsen reported that U.S. total search volume had declined year over year by 16% — with Google use down 17%. So, yep, Google needs to play usability defense. But back to dollars — why would Google block the ads that make it money with such a graphics feature? The preview window pops up to the right, covering all the CPC ads at the right of your browser window. Blocked view, no clicks, no Google ad revenue … right? And then we thought, perhaps Google is being even more clever. Remember, it costs you most to bid on the No. 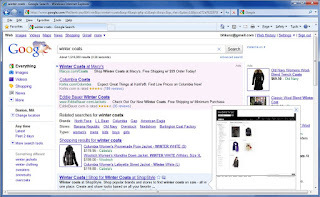 1 ad spot at the top of the search results, with every subsequent spot on a Google results page costing less. The new preview interface covers up only ads in positions 5 or higher — while the top 4 sponsored links, the most expensive and thus the most lucrative to Google, are still visible up top, uncovered by Instant Previews. So Google has now created an incentive for advertisers to bid higher on CPC ads to achieve positions 1 through 4, and to avoid the lower positions 5+ in paid search results, which could be hidden and thus achieve worse click-through rates. Smart. Google has added a clever new feature to attract more users, while pushing advertisers to pay more to avoid being blocked on search results pages. Google has maximized consumer utility and advertising spending. Wow, Google. It’s almost like you’re optimizing us instead of search results. Clayton Miller has built a graphic user interface for computers that, yes, taps all 10 of your fingers. It is called 10/GUI. It is brilliant. And it is unlikely to ever see the light of day. If you pan out like an angelic Walt Mossberg to look down from the clouds at humanity’s progress for the past 20 years, you’ll see cumbersome connections with technology. Each device — laptop, cell phone, television set — has a few common interface standards (say, most laptop screens tilt backward and use a QWERTY keyboard) but the real story is chaotic complexity. Gadget designs are all over the place. Sure, we have a common computer mouse, but good luck turning on the TV in your neighbor’s home or setting an alarm clock in a strange hotel room. Here’s a test: visualize where the “play” button is on your own home stereo. We bet you don’t know. Why are common interface standards so absent? Call it differentiation. First, technology moves quickly and devices keep changing; smart phones barely existing 5 years ago, and designers are still tweaking where buttons go on touch screens. Second, manufacturers continue adding “feature creep,” little tweaks to each device to try to defend margins. We didn’t ask for a video camera in our iPod Nano, but we got one. And third, the competitive marketplace is good for invention but not so fine for industrial standards. If your company’s product works similar to others then competitors can easily mimic you and steal your customers; it is better, for profits, to build a unique widget, sell the hell out of it, and block other companies from plugging in. Consumers gain innovation but lose sanity in this process. The competitive market fails in improving consistent interface design. Incumbents with market share and installed customer bases (think Microsoft Windows systems on Dell laptops) have little incentive to change how you really interact with their devices; improving user interface would require huge hardware shifts, might make old products obsolete, and free you up to really shop around. And consumers also drive the fragmentation by buying new gizmos with new looks and feels, because shiny feels good, even if it means new shiny that doesn’t match the 20 other tools you have at home. Darryl Ohrt suggests Clayton Miller may get bought out by Apple or Microsoft for his 10-fingered genius. We hope so, but alas, we fear the invisible hand of the free market has no need for 10 fingers. Forget video this weekend. Record a comic strip. You must be tired. This week we covered economics, pricing, fonts, politics and outer space. We even used a graph. 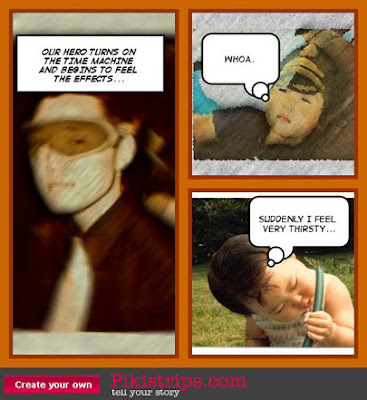 So as a reward we show you Comeeko, a new service that allows you to turn your photos into comic strips. No marketing strategy here. It’s just friggin’ cool. We admire the courage it must have taken in board meetings for someone at Mayo Clinic’s marketing group to push through a web design that didn’t muck up the home page with millions of pieces of arcane jargon from each medical service line. The products are missing from this home page; you don’t see the words oncology, bariatrics, radiology, orthopedics, or cardio anywhere. Why? Because in the real world, patients don’t talk like that. Patients just want to find a doctor or a cure. The brilliance of this new site design is that Mayo has streamlined the information down to three points of entry: find a disease, find a location, or request an appointment. Push is gone (newsletter whacked), and pull is in. Someone at Mayo must have read Pew’s research pointing out that 113 million Americans search for health-care information online. 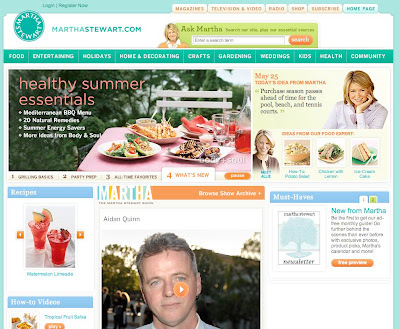 Mayo removed extraneous elements to make search easier. The newsletter is now gone, and Mayo also removed those crowing, all-about-us PR statements such as Top 100 logos. (Memo to regional hospital execs: Most patients don’t know there are more than 100 hospitals in the entire nation.) Mayo still runs two web sites, mayoclinic.com and mayoclinic.org, a curious dual front-page approach given that 66% of internet health searchers begin typing at a search engine and are then thrown deep into the bowels of a web site anyway. 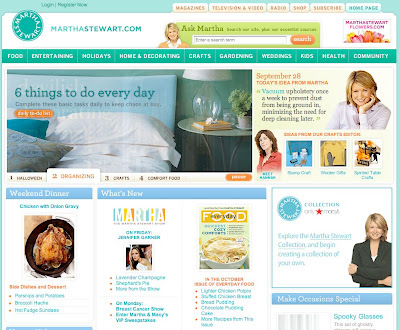 Most users of Mayo content will never see either home page. No matter. We admire Mayo for the courage to remove technical terms and make search simple. It’s the equivalent of removing a crowd of shouting physicians from the hospital lobby to help patients get through the front door. We recently resubscribed to Netflix and one movie we ordered didn’t come in the mail. Arg. We put off calling, dreading what we assumed would be a long, slow slog with customer service. On a whim, we hit the Netflix web site seeing if we could reorder it. We clicked on (1) help, (2) DVDs, (3) DVD didn’t come in the mail. Hit the button. Done! With three simple clicks, Netflix is mailing us a new copy of the DVD, no questions asked. We’re sure eventually Netflix would shut down a scammer trying to get free DVDs, but as new customers, we LOVE this service. Great example of intuitive web usability, and of making it easy for customers to climb aboard the Netflix loyalty wagon. Now the midfield has 57 clickable topics, grouped under what’s new, dinners, videos, holiday ideas, all-time favorites, poll, and classic recipes. The small links within the groupings have no-brainer titles such as “chocolate,” “Christmas,” and “good things for decorating.” You want chocolate? Click on chocolate. The point? Web users are foraging. They are not viewers. They are hunters. They aren’t looking at your web site as a framed piece of art. They don’t care if your Web 2.0 design has rounded curves and elegant white space. They want to find what to click, and then click it fast. Seth Godin talks a lot about the difference between push and pull. Great design can push. Great usability lets users pull. The editors at Martha must have screamed about the simple idiocy of labeling the chocolate section just “chocolate.” But online, that works. Now, we aren’t designers, and we respect the brilliance of subtlety, balance, contrast, and tension in grabbing attention. But as media planners, we note that consumers are in different modes when they use different media. Make sure your communication format fits the need — and if the user is hunting for something you offer, give them several very clear targets.